Resting between Midrand and Randburg is the affluent area known as Sandton. Falling under the Metropolitan Municipality of Johannesburg, this well-known city is renowned for being one of the wealthiest areas in Gauteng – apart from its sought-after residential suburbs; Sandton has similarly grown into a thriving node of commercial and retail property. Established in 1969 and spanning a total of 143.54 km2, Sandton is coveted for its upmarket business parks and exclusivity. Sandton is ideally positioned in close proximity to Johannesburg, which is 15km. This central location means that this node is serviced by many major roadways including the N1 Western Bypass, N3, M1, M9, M81, M75, M74, M71, M40, M60 and the R511 – this affords commuters and tenants the opportunity to easily get to and from various towns and cities in the surrounding areas. Sandton is also serviced by a wide range of transport options and is approximately 25km from the OR Thambo International Airport. This area also falls into the Gautrain and Gautrain bus routes, which runs from Sandton to the airport, Midrand, Centurion, Pretoria and Johannesburg. 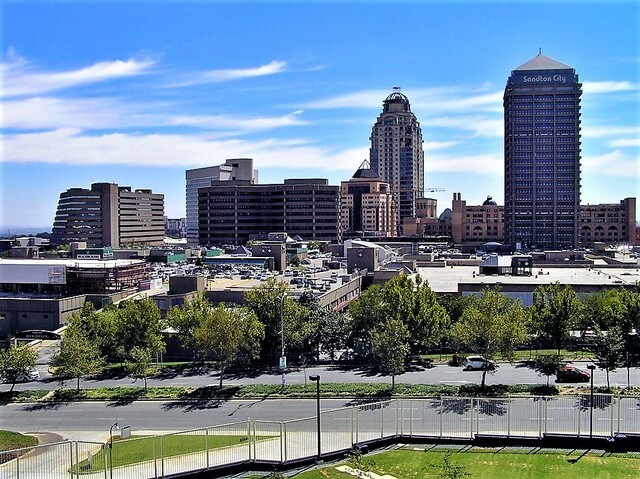 Answering the large commercial property demand, several suburbs in Sandton has emerged as exclusive hubs of office and retail space, these areas include the likes of; Bryanston, Eastgate, Kramerville, Linbro, Morningsude, Paulshof, Rivonia, Sunnninghill and Woodmead. Sandton CBD and its surrounds have definitely established itself as a highly popular commercial destination with many corporate offices relocating to this area, due to the downturn of Johannesburg’s downtown. Becoming Johannesburg’s main business and financial centre, most activity in this market surrounds the suburbs of Sandhurst and Sandown – where the most prime and therefore costly commercial properties and offices can be found. Generally these property types range in size, between 15m2 and 15 000m2 – with available units available between R35 and R350 per m2. One of Sandton’s biggest draw cards is the abundant retail and shopping opportunities that are available in this node. As one of this areas main attractions the renowned Sandton City, together with the Nelson Mandela Square ranks as one of the largest shopping and retail centres on the African continent. From luxury brands, main retail and food outlets and everything in between, you can find it in these two locations. In immediate proximity to the Sandton Gautrain station, these retail giants are convenient for a quick lunch meeting or a after work grocery trip. Well-located, exclusive commercial property has contributed to the popularity of Sandton as a centre of commerce and retail activity. This has created a healthy market climate, with varying prices and space available in this sector. If you and your business are looking for prime office premises, Sandton is the ideal environment for your company to thrive. 3 Cube Property Solutions has a broad selection of commercial property types available in Sandton. Contact our dedicated team of property professionals today, to view your next Sandton locale. 8731m2 of prime land to be turned in the business premises of your dreams.